Nearly half of 208 customers could opt for the electric version of the supermini, which is due this summer and designed to particularly appeal to fleets. 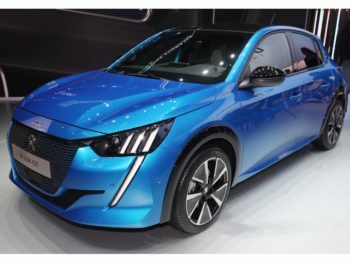 Speaking to Fleet World, Peugeot’s LEV product manager Anne-Lise Richard said the e-208 – which was revealed at the recent Geneva Motor Show – is a very important model for the brand and for fleets, as it kickstarts Peugeot’s electrification plans. And although it’s expected to appeal to private customers, it’s in the fleet sector that it’s particularly expected to find favour. But with private customers still expected to play a role in this model’s success, Richard revealed Peugeot is working on a total cost of ownership approach for this car for both fleet and private customers to highlight the benefits it can bring. So with the cost benefits stacking for the car, the biggest challenge she believes, for both private and fleet buyers, is to get people into the e-208. However, with the e-208 offering a claimed 211-mile electric range (WLTP), Peugeot thinks almost half of 208 customers could have the electric version. “When we take into account customers’ mileage on a daily basis, the number of long trips that they do, we see that 40% of customers could have with an electric car in the B-segment – it’s huge,” continued Richard. Peugeot will also offer a specific maintenance package for the e-208 to help drivers make the shift to electric. “We will have a specific roadside package – so if you have an energy shortage, you will get specific assistance to get you to a charging point, or to your home charging point. We shall also be the first to issue battery capacity certificates, giving the customer information on the battery capacity, so that will reassure them of the battery technology,” she finished.